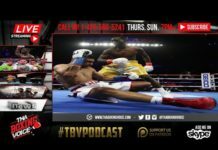 Home Podcasts Boxing 👍GGG vs Martirosyan👎Canelo SUSPENDED🤦‍♂️Broner vs Vargas PREVIEW🔥& More! 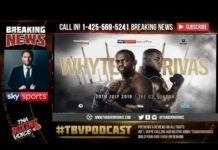 👍GGG vs Martirosyan👎Canelo SUSPENDED🤦‍♂️Broner vs Vargas PREVIEW🔥& More! Gennady Golovkin vs Vanes Martirosyan is official for the Stub Hub in Carson, CA. Also Canelo Alvarez has agreed to a settlement with the NSAC to. A 6 month suspension. Are you hyped or not for this fight? Adrien Broner vs Jessie Vargas fight card preview including Jermall Charlo vs Hugo Centeno and Gervonta Davis vs Jesus Cueller. Carl Frampton vs Nonito Donaire preview. 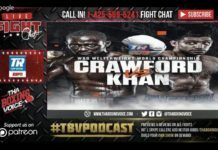 Amir Khan vs Phil Lo Greco preview.